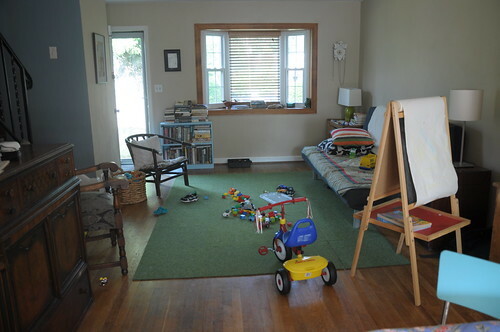 There is definitely a mixture of stuff in my house — hand-me-downs, thrift/antique store finds, IKEA and Crate and Barrel purchases, craft projects, a few things found in the garbage, lots of kid toys. That sounds like the perfect recipe for a cool, eclectic look, but I have a hard time pulling it off. Recently, this room has really gotten me down. Even when there aren’t toys scattered everywhere, it just doesn’t feel right. It needs something to bring it all together. I didn’t want to get rid of any of my stuff (I love it all and each piece has a story), so I decided paint was my best option. 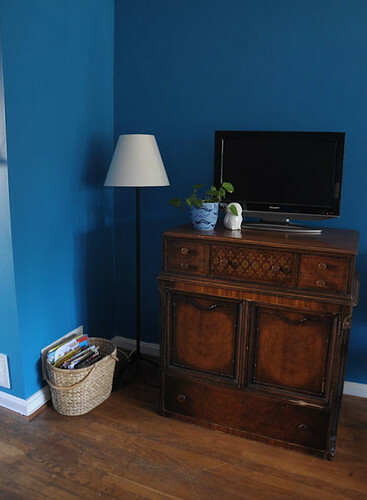 Afterall, HGTV is always telling me the easiest way to transform a room is through paint. I must listen to my mentors. But my paint track record is not good. The room has been painted three times in seven years — first mustard (which lasted four years), then two shades of beige painted within a week of each other (I’m still getting slack about that one). After two weeks of testing colors, I was even more confused than ever. The long narrow main floor gets morning and afternoon light on opposite sides. So while one side looks good, the other looks dark and dreary. Searching the Internet for inspiration, I stumbled upon this post about blue walls on Apartment Therapy and I fell in love with these teal walls. 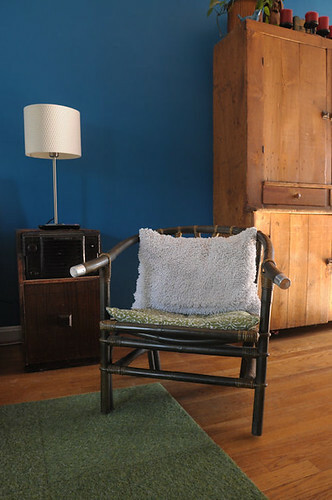 I discussed the color with my super stylish friend Liz Cherry and she suggested I try Benjamin Moore’s laguna blue (a similar color that she used in her kitchen). 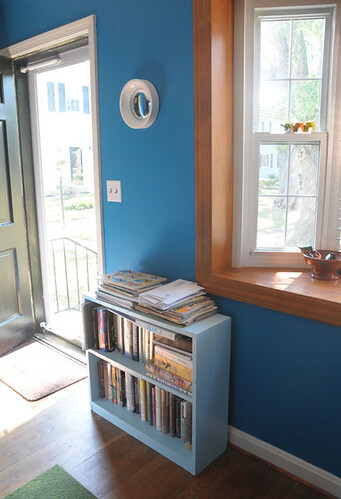 I tested both colors on various walls and in an instant I knew laguna blue was a winner. It’s dark but vibrant at the same time. It looks good in bright light and it looks good at night. Consistency: what more could you ask for from a paint? In real life the color has a little more green in it, but here’s my best attempt at photographing the color in various locations around the room. Dark colors don’t make a room look small (that was a concern I had). 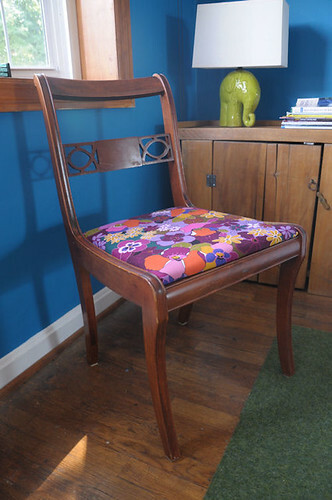 When you have a random assortment of stuff, a bright bold color can help pull everything together. Next up: crown molding to make the color really pop and art for the walls. Look for more on that later! So there you go. I think this color will last a little longer than the last one. beautiful blue, your little bookshelf would look fab painted the same green as you cute little elephant lamp and near your cozy chair as a little reading nook! Thanks Dawn — that’s a great idea. I was thinking white but green would be nice too!